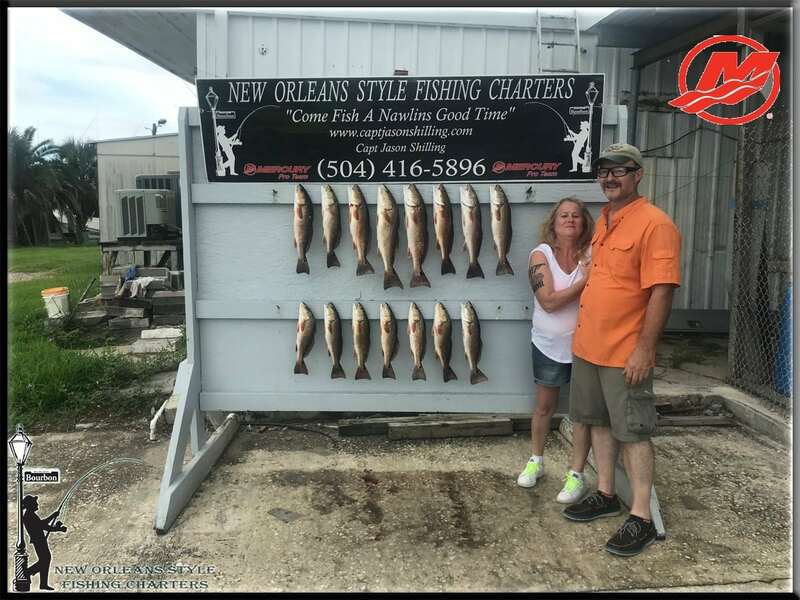 Fall fishing fun in New Orleans, Its been a busy month of fishing in New Orleans. October always is with the weather so nice . The fish are very active with the water temps dropping into the 70’s. This last week with the full moon the red fish have been a tough bite . The speckle trout have made up for and lack of action the reds may be giving up. The first part of the month the reds were biting good. Now that we’re on the downside of the moon the reds will pick up again. With the birds diving , shrimp popping , and the specks right behind them the action has been nonstop. The speckle trout have been averaging 12″-19″ and we’re catching anywhere from 40-100 keepers a day. The red fish have been healthy hard fighting 18″-26″ fish . We have also gotten into a few Jack Fish as well as a couple Spanish Mackerel. Which both are a rare catch for the area that we fish. Fall fishing can be some of the most productive fishing here in New Orleans . So…….